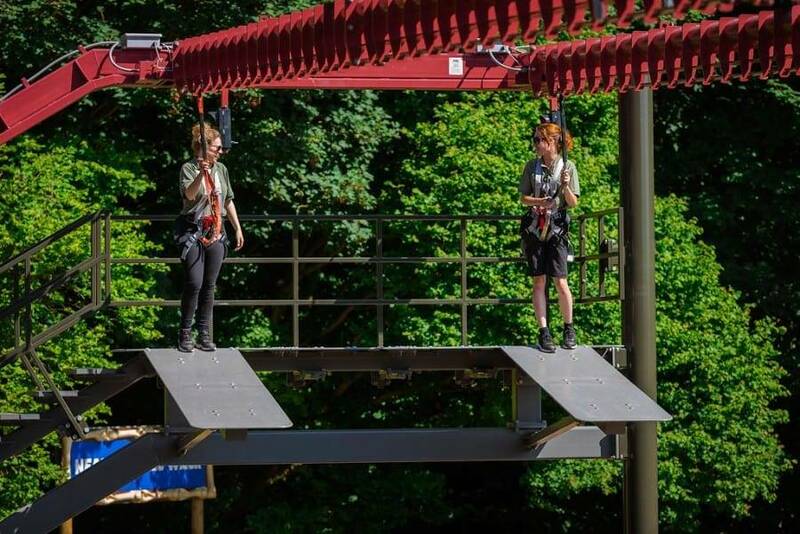 The Sky Rail rigid zip track is a brand new alternative to conventional zip lines and can be installed as a feature of our Sky Trail High Ropes Courses to enhance the experience. 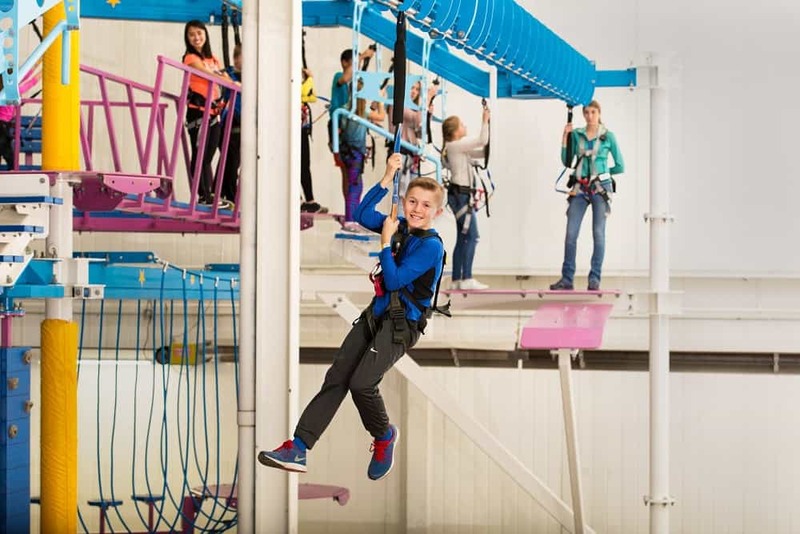 As the Innovative Leisure Zip Lane has no ‘sag’ in the metal track (like traditional zip lines), the rigidity of the Sky Rail zip track means the attraction can be installed between buildings or over water with confidence. 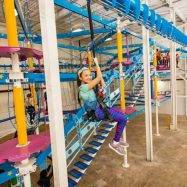 In addition, the Sky Rail particularly suits indoor locations where movement and space below the zip are at a premium. 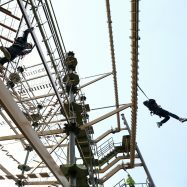 The Sky Rail offers patrons the unique advantage of seamless integration with a high ropes activity. 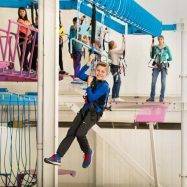 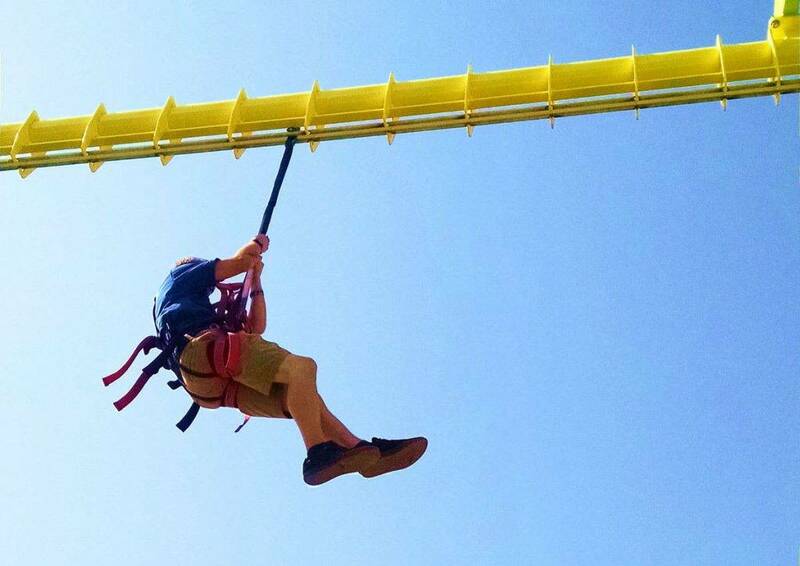 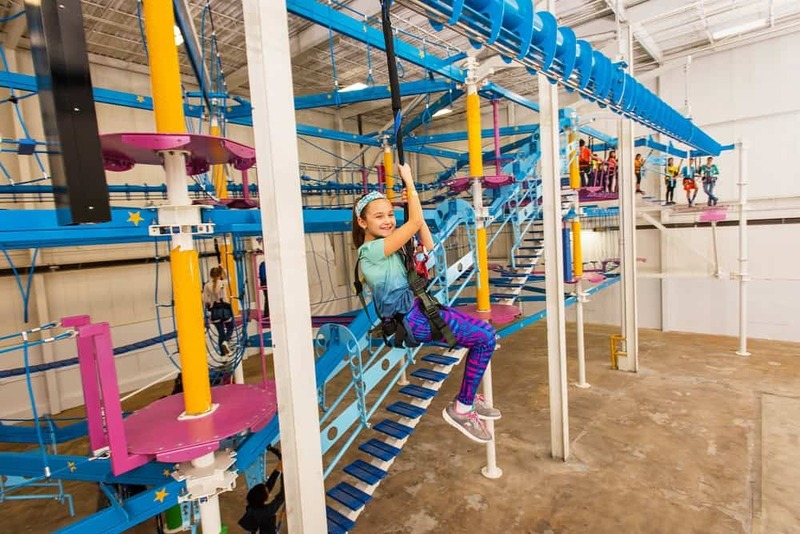 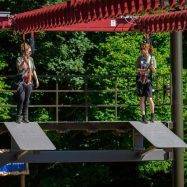 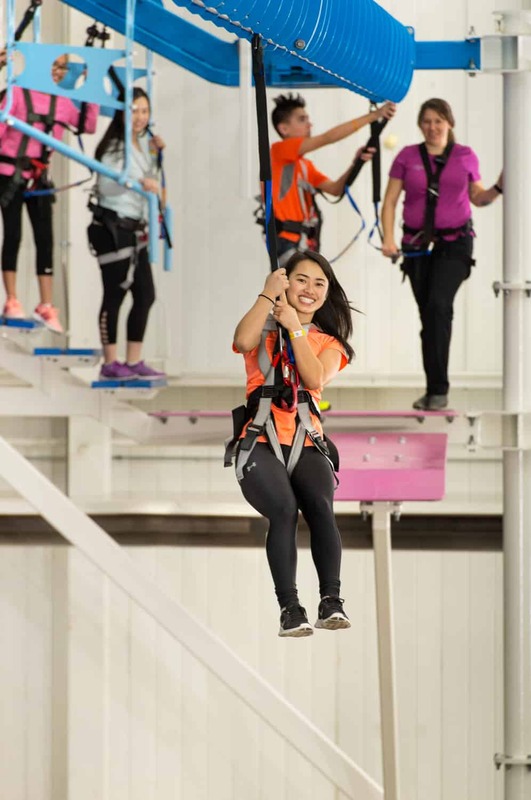 While navigating Sky Trail high ropes course as normal, the user transfers their slider straight into Sky Rail’s zip cart without ever having to unhook. 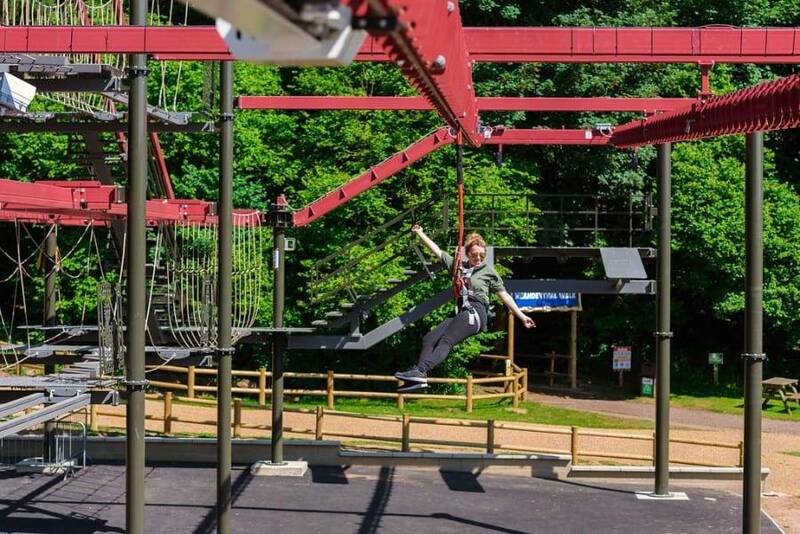 Following their thrilling zip, the user transfers straight back into the Sky Trail track to continue their adventure. 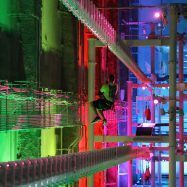 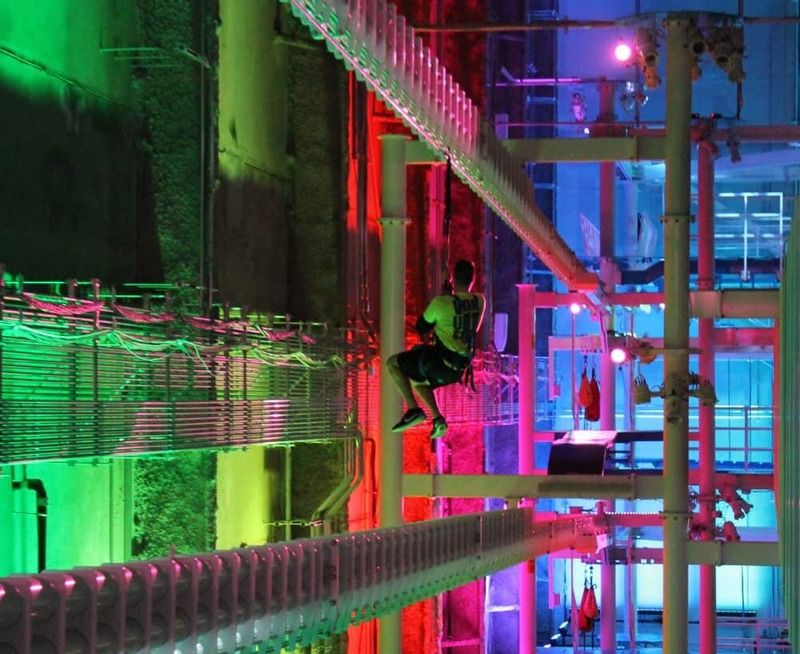 From an operators perspective, Sky Rail offers flexibility of design and installation options which means Sky Rail can be incorporated into the initial design of a high ropes course or can be added alongside a pre-existing course at a later date to enhance the overall adventure play experience of a venue. 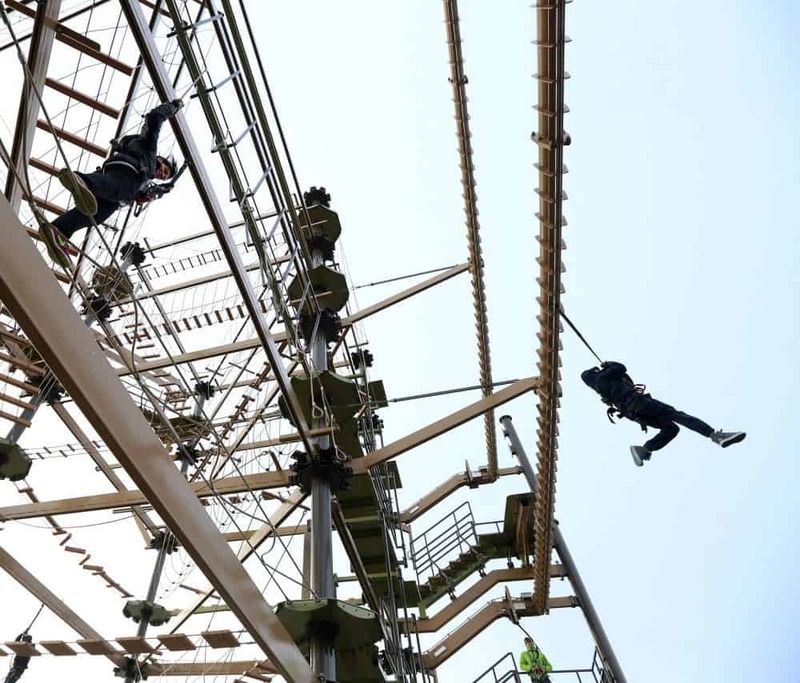 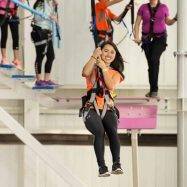 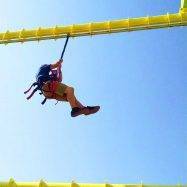 Innovative Leisure installed the UK’s first two Sky Rail systems at Tees Barrage as part of the locations brand new Sky Trail Explorer high ropes course, now the biggest in the UK. 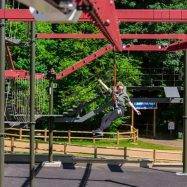 You can also find Sky Rail at Drayton Manor, Universe (Denmark) and the world’s first parallel twin rails at Roarr! 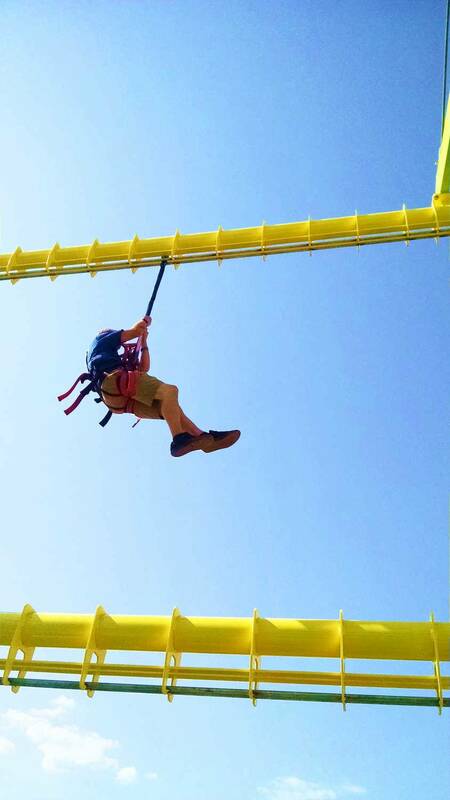 Dinosaur Adventure.